"Extra-large 6 door 2 drawer mirrored wardrobe in beech, made of A-grade chipboard with metal handles and 3 metal hanging rail, one in each part. A long lasting quality affordable to you. Wardrobe has 2 large shelves, one in each side part of the wardrobe and 2 large drawers in the middle part giving you a lot of storage space. 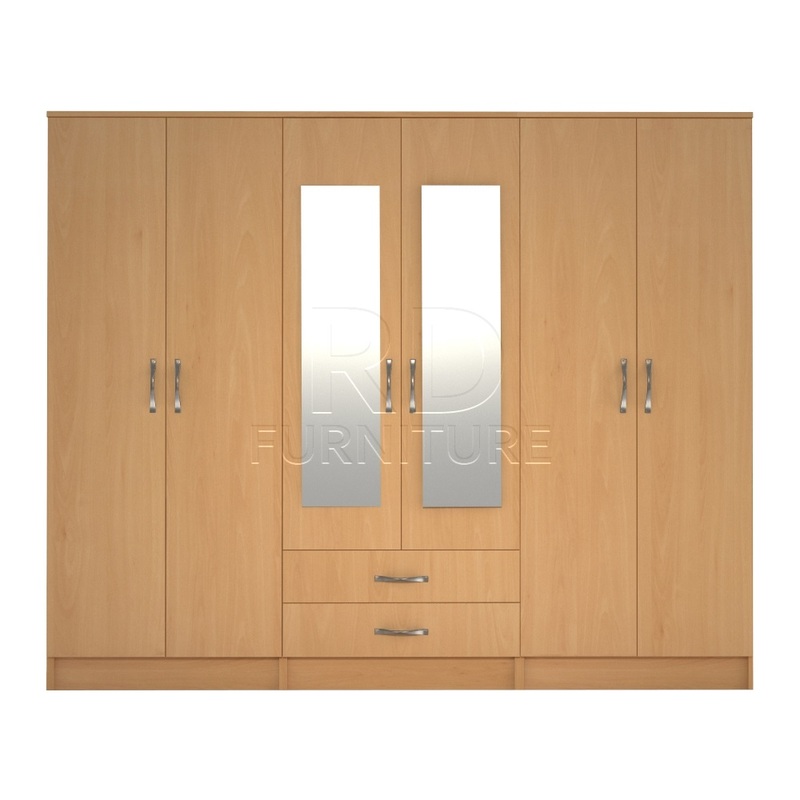 Wardrobe dimensions: Height: 184 cm Width: 228.5 cm Depth: 50 cm Full bedroom sets available in this colour. Please fill free to call or message me. "